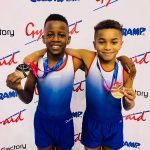 The City of Birmingham Gymnastics Club Tumblers came out in force at the 2018 Trampoline, Tumbling and DMT British Championships which took place at Arena Birmingham over the weekend 21st/22nd September. 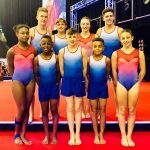 CBGC entered nine tumblers all of whom placed excellent first day performances and successfully qualified through to day two for finals. 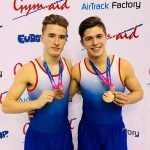 Again good performances were placed and five gymnasts placed on the podium in their respective age categories. A special mention also goes to Rachel Davies (Durham City Gymnastics Club) who took the senior Womens championship gold medal. 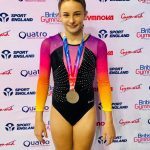 Rachel has been training with the City of Birmingham Gymnastics Club whilst studying for her degree, here in Birmingham, at the University of Birmingham. Congratulations on an excellent result from everyone at City of Birmingham. 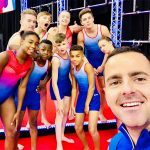 A Final well done to all of the gymnasts and to Head Tumbling Coach, Chris Porter for an excellent weekend of results.